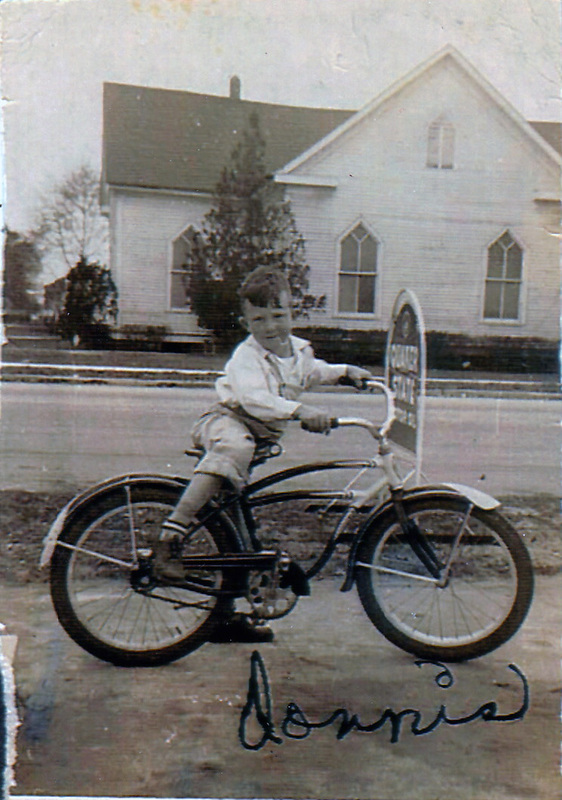 Donnis Lentz rides his bike in front of the original Johnsonville United Methodist Church, corner of Broadway and Georgtown Highway. Johnsonville United Methodist Church formed in 1915 when a group of former members of Old Johnsonville Methodist Church withdrew to organize in the newly incorporated town of Johnsonville. They deemed this necessary as the railroad had come through Johnsonville the new town had recently been laid out, with new residents pouring in. A pastor was requested in the conference sent Reverend S.C. Morris in January of 1915. For about three years the group worshipped in the First Baptist Church of Johnsonville. 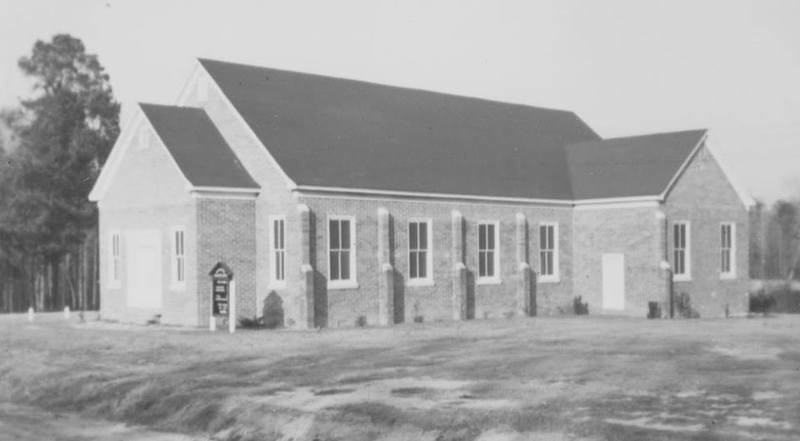 It was during this period that half of a city block was donated to the congregation at the corner of present day East Broadway Street and Georgetown Highway. A framed church structure was completed on the property in 1918 and was dedicated the following year. In that same year, a two-story parsonage was erected to the north on Georgetown Highway and Reverend Morris moved in. In the following years, this church served as part of a circuit with Vox, Trinity and Prospect Methodist Churches. The pastor alternated services between the churches from Sunday to Sunday. In the early years he was often paid in some small cash donations, along with produce, chickens and milk. The first addition to the church was built in 1927 with the addition of Sunday school rooms in the back. In 1946 half of the vacant property and the old parsonage were sold. A new and smaller parsonage was completed in 1947 on the property immediately behind the church. 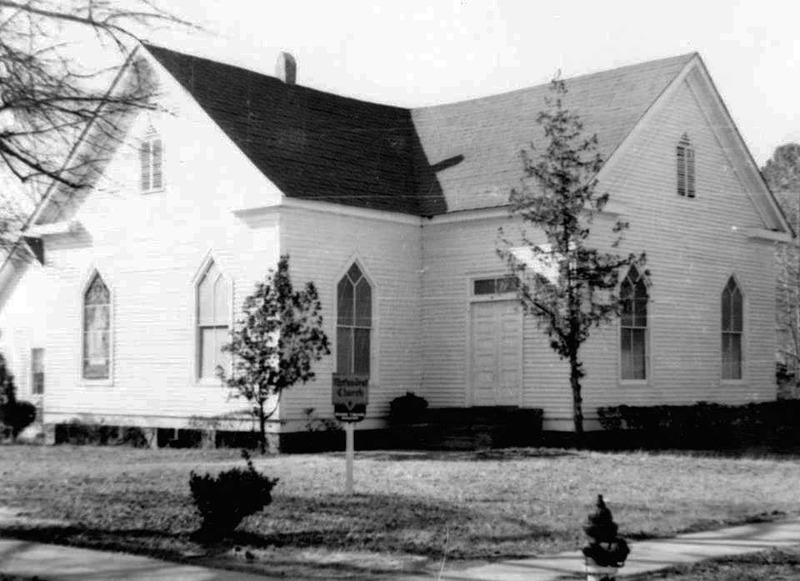 In 1956 the Johnsonville church was moved from charge to single station with its own pastor. Remodeling in 1959 of the building added new class rooms and updated the sanctuary. A building fund was established in 1961 for the purpose of building additional educational facilities. Soon after, this program was expanded to a New Church Building Fund. The property known as the “Doctor Eaddy Estate” was purchased and a new building was completed in 1965. The first service was held there on Dec. 26 of that year in the fellowship hall, which has since been named Poston Hall in memory of an early benefactor, Mr. S.B. Poston. A brick veneer parsonage was erected in 1967 behind the present church. The original Johnsonville Methodist Church building was sold and moved in pieces, some of which ended up in Possum Fork. The site is now a park.